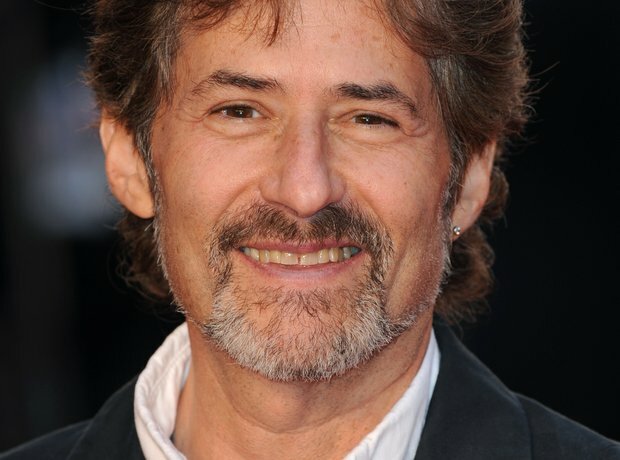 James Horner created blockbuster scores for such box office blockbusters as Titanic, Braveheart and Avatar. Here's our choice of his ten best soundtracks. American-born, but educated at London’s Royal College of Music, James Horner set out to be a concert hall composer but soon caught the movie music bug, scoring student films for the American Film Institute. His lucky break came in 1982 with the second big screen outing for Captain Kirk and the crew of the USS Enterprise. Following massive worldwide hits with directors James Cameron and Ron Howard, Horner firmly established himself as one of Hollywood’s most in-demand and successful composers. With a smallish budget to play with for second Star Trek movie, director Nicholas Meyer turned for the music to the unknown Horner whose work he had heard on Battle Beyond the Stars. The young composer jumped at the challenge and delivered a career-making score, treating outer space in the same way as he would a high-energy nautical adventure. It’s a fantastic soundtrack in which Horner first showcased the musical style and motifs that have characterized his extraordinarily lucrative career. James Horner had an amazing year in 1995. After an exceptional score for Legends of the Fall, he provided the music for two family movies, Balto and Casper. Then came two superb Academy Award nominated soundtracks - for Braveheart and Apollo 13 – all in all an exceptional achievement. The stirring score for Apollo 13 evokes both the heroism and sacrifice of the Apollo astronauts. Cocoon marked the beginning of a fruitful collaboration between Horner and director Ron Howard. Having scored two Star Trek movies, as well as Aliens and Brainstorm, Horner was the natural first-choice sci-fi composer for Howard to go to for this heart-warming tale about elderly people revitalized after swimming in a pool containing alien cocoons. It's an unashamedly romantic score which serves the picture very well and gives the tear ducts a good work-out. In 1986, seven years after Ridley Scott's Alien scared the wits out of global audiences, newcomer James Cameron directed its terrifying sequel and called upon James Horner to provide the music. Critical opinion varies about the success of Horner's score - some consider it a classic while others find it derivative of his earlier soundtracks. Without a doubt, though, it is as frightening and as atmospheric as the film and shows off Horner's mastery of orchestral forces. Glory tells the tragic story of the first black regiment in America and Horner's score is one of his most brilliant. Even on record, the soundtrack packs a huge emotional punch and became a bestseller for the composer before being eclipsed by his scores for Braveheart and Titanic. Civil War drums, trumpets, and piccolos are all present but its the choral and orchestral sweep that packs the real emotional punch. Braveheart is the story of William Wallace's quest to overthrow English rule of Scotland and Horner's score is filled with traditional Celtic and Scottish influences - whistles and pipes galore - paired with the modern orchestra. Heartachingly romantic at times, and excitingly percussive in the battle scenes, the score also has the power to haunt, combining the London Symphony Orchestra with a boy's choir. The album of Horner's score was an international smash all over the world and continues to sell well. A second album of more music - and audio excerpts - from the film was also a Classic FM chart topper. James Horner's soundtrack for the 1997 blockbuster Titanic played a key role in the film's phenomenal success. Like the movie itself, the music combines traditional storytelling with some very modern elements. There are Irish pipes, whistles and fiddles a-plenty; but there are also unashamedly 1990s synthesiser sounds and ethereal vocals from Norwgian performer Sissel Kyrkjebø floating out over the icy north Atlantic. Titanic won the composer two Oscars - for the score and Best Song - the Celine Dion hit, My Heart Will Go On. The first soundtrack CD sold a staggering 26 million copies, making Horner the highest selling contemporary composer, even surpassing John Williams. Horner teamed up with director Ron Howard again for this critically acclaimed and popular movie. For the compelling soundtrack, Horner employed the voice of then teenage phenomenon Charlotte Church to contribute beautiful vocalising, and a touching end credits song. The most memorable element though is a clockwork-like, repetitive motif that echoes the obsessive, mathematical mind of Nobel-prize winning - and schizophrenic - protagonist John Forbes Nash Jr.
A hugely expensive, troubled production, Troy's problems were confounded when Oscar-winning composer Gabriel 'The English Patient' Yared - who had a spent a year working on an epic score - was dropped after audiences at test screenings said his music was too old-fashioned. Horner accepted the challenge of scoring two hours of music for Troy in just nine days. It's a testament to the composer's skill that he not only produced enough music but some very exciting cues at that. Listen out also for Josh Groban singing 'Remember Me' over the end credits. For his sci-fi epic Avatar, James 'Titanic' Cameron returned once again to Horner to provide the score, telling the composer that he must refuse all other work during the period that the film was being made. Horner spent his time collaborating on creating an alien language for the Na'vi race, which was put to use in the choral parts of the score. He also even invented new percussion instruments to create a unique native music for the moon Pandora. It's not the catchiest score but it's monumental nonetheless - and Horner certainly threw in everything he has learned in 20 years at the top of his game.